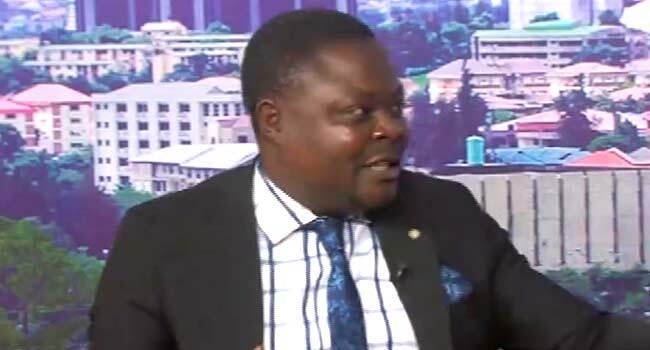 A legal practitioner, Mr Emmanuel Anene, has rejected the suspension of Justice Walter Onnoghen as the Chief Justice of Nigeria. He also described the suspension of Justice Onnoghen by President Muhammadu Buhari as ‘a coup’ on the judicial arm of government. “It was a black Friday for all lovers of democracy, due process, and rule of law,” said the lawyer during his appearance on Sunrise Daily on Monday. Following Justice Onnoghen’s suspension, President Buhari had appointed Justice Tanko Mohammed as acting CJN. He had also explained that his action was a result of an order of the Code of Conduct Tribunal (CCT) over allegations that the judge failed to declare his assets. Anene, however, insisted that “everything about that order is nugatory,” stressing that it does not exist in the rule of the law. “If Mr President said ‘I hereby suspend the CJN base on the allegations against him’, that would have been a different thing; but Mr President predicated the suspension on the order that is nugatory on the face of it,” he said. According to the lawyer, there is no law that provides for a ceiling upon which the amount of money a judge can own. He opined that the fact that the sum of $20million was found in the account of a judge does not amount to an offence. Anene argued that the Code of Conduct Tribunal and Bureau Act was clear on the issue of improprieties and infractions in the declaration of assets by any serving public officer. He accused the government of encouraging corruption, insisting that there was no way it would link the suspension of Justice Onnoghen to the war against corruption. “If it is about the war against corruption, you cannot fight corruption with corruption. The so-called order procured from the CCT was declared illegally ab initio,” the lawyer stated. He added, “A servicing minister of the Federal Republic of Nigeria who is a senior member of the bar told the whole world that he thought that being a member of a certain State House of Assembly amounts to serving in NYSC.